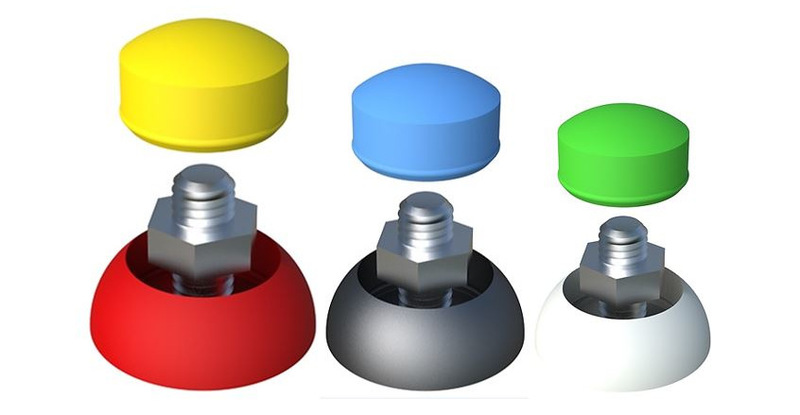 Available in sizes M6 to M8 and M10 to M12, these bolt head cups and secure cover caps are sold separately which allows you to mix and match from the wide variety of colours available. What sets these bolt head cups and secure cover caps aside from the basic options available from standard retailers is that the material is a Polypropylene + UV stabiliser combination, meaning that they can be used outside and withstand the UV effects (from sunlight) that would otherwise degrade the material in a short space of time, as it does with standard Polypropylene bolt head cups and cover caps. By default, we list the standard colours but other colours may be ordered on request, subject to minimum order quantities and longer lead time. Please contact us for more information. View the full range of Bolt Head Cups & Secure Cover Caps HERE!